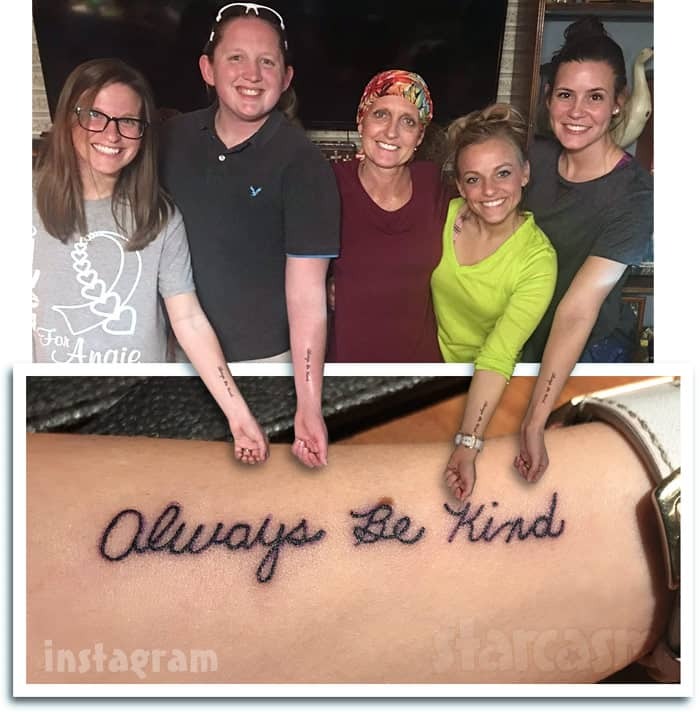 Teen Mom 3 (and reportedly either future Teen Mom 2 or Teen Mom OG) star Mackenzie McKee, her sister, her sister-in-law, and another close family friend have paid tribute to Mackenzie’s mom Angie Douthit, who is currently battling brain and lung cancer, by each getting tattoos of Angie’s “Always Be Kind” mantra in Angie’s own handwriting. I’ve never wanted a tattoo, although they don’t bother me. So when my daughters (Kaylee can’t get one while she’s pregnant) approached me about getting one I just told them it should have a great meaning. 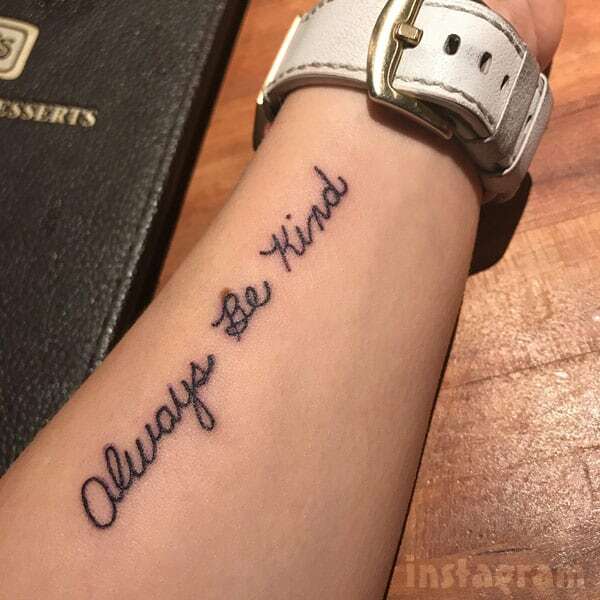 They asked me to write, “Always Be Kind” on paper so it would be in my handwriting and away they went. I thought they were going to add the cancer ribbon to it, but they chose not to, and I’m so happy, I don’t want my life to be remembered for the cancer. I want it to be remembered for what I did to share Christ. So last night when they revealed their tattoos to me, I was very pleased because, they all started telling me about how many people they have already been able to share what the tattoo means. Each person who asks about it, they tell them my story and explain how important it is to always be kind. Isn’t that awesome! 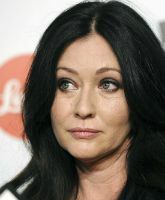 You see, sometimes we get an attitude about certain things and that keeps us from seeing how it could be used for good. 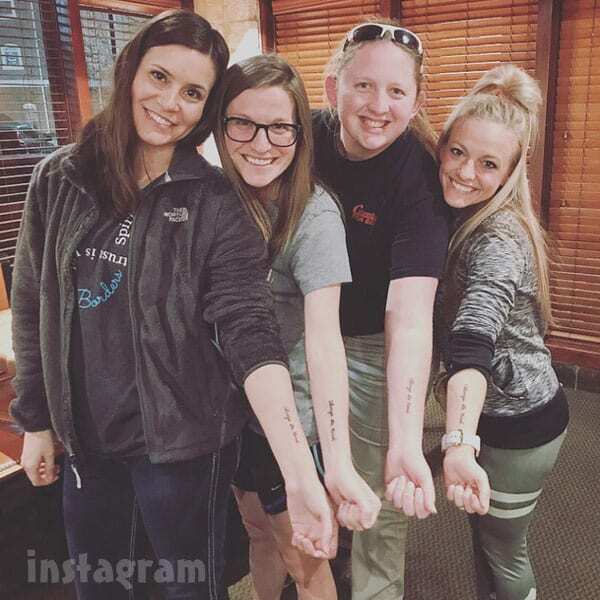 God can use anything to spread his love…even cancer, and yes, even a tattoo. The ladies’ ink was done at Brickhaus Tattoo Studio in Joplin, Missouri, and I am guessing that MTV was there to capture it all. 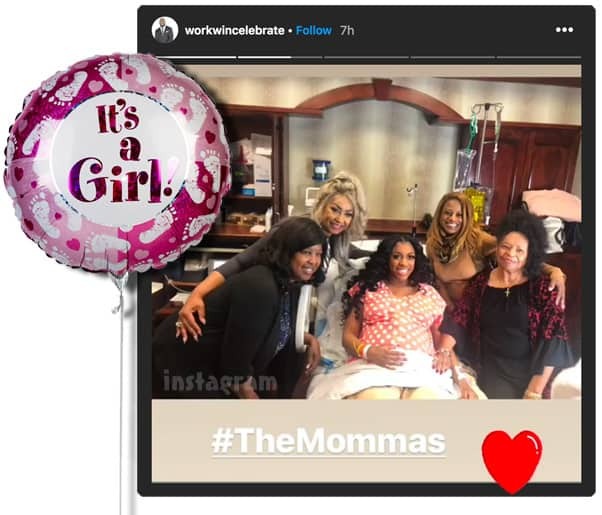 It has been confirmed that Mackenzie McKee is indeed filming with MTV once again, with production sources revealing that it was initially planned as just a “Being Mackenzie” kind of special that included the family dealing with Angie’s cancer battle. 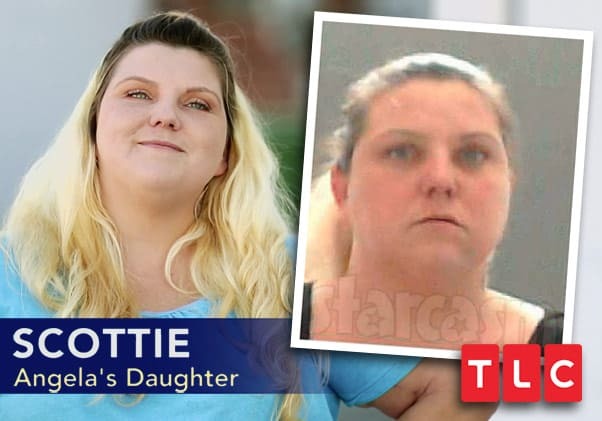 Now there are numerous sources reporting that Mackenzie will be following in the footsteps of her Teen Mom 3 co-star Briana DeJesus by becoming a full-fledged Teen Mom once again as she replaces either Farrah Abraham on Teen Mom OG (as reported by TMZ earlier this week) or Jenelle Eason on Teen Mom 2 (purely speculation). 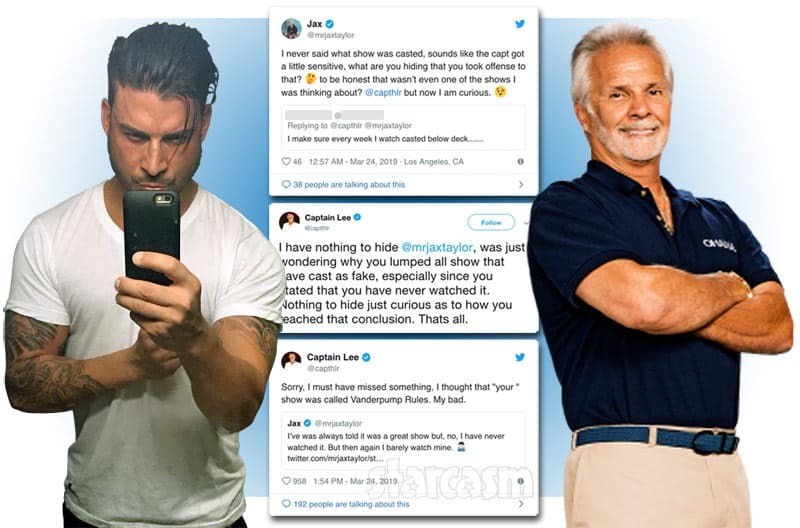 The TMZ report is right in line with previous reliable reports indicating that MTV has narrowed down the search for Farrah’s replacement to Ryan Edwards’ wife Mackenzie Edwards and Mackenzie McKee.